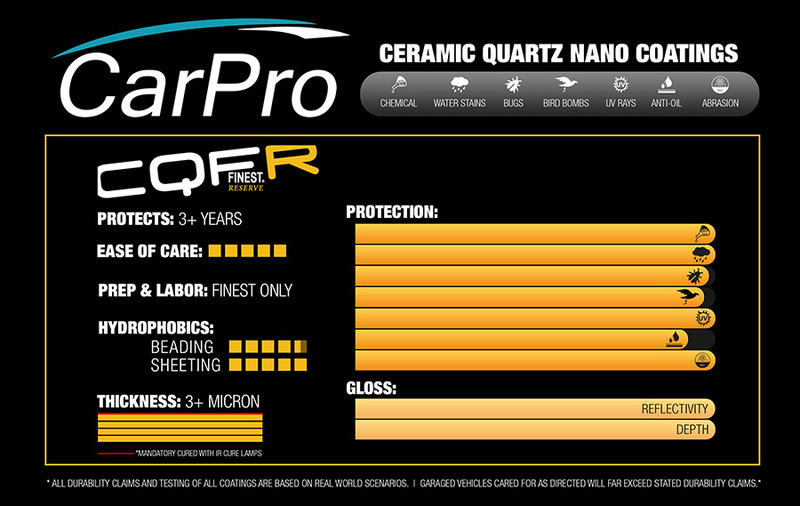 Dellinger’s Detailing & Paint Care, LLC, is an authorized installer of C.Quartz Professional & Finest Reserve. While the aforementioned paint coating systems are professional products, we do install Car Pro’s entire line of coating products. Paint coatings require proper surface preparation in order to fully bond to the underlying paint system, thus, these premium products are exclusive options which can only be paired with one of our Definitive Detail packages. Each professional coating we offer provides aesthetic and protective qualities that easily surpass those of traditional waxes or polymer based sealants. Protection: Paint coatings protect the underlying clear from damaging UV rays, bird bombs, bug splatter proteins, environmental fall out, weather, winter road treatments, among others. Aesthetics: Installed coatings impart a dramatic clarity, gloss, and depth to perfectly polished paintwork. 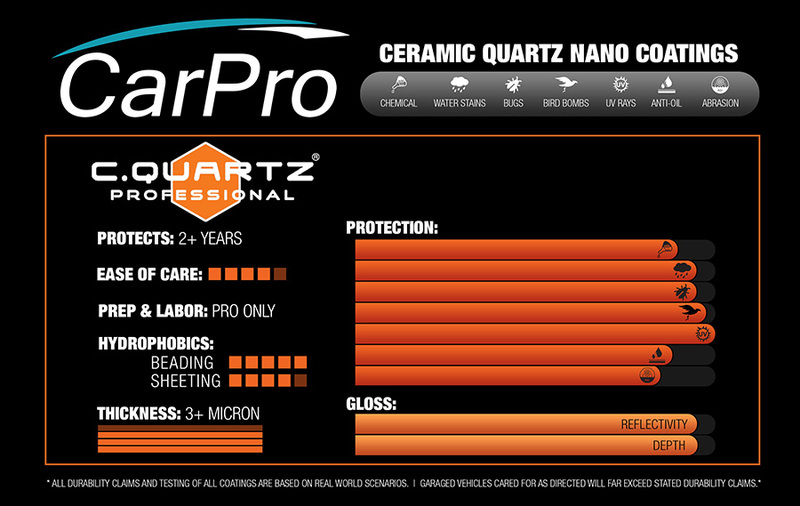 No other traditional paint protection product comes close. Ease of Maintenance: No longer will an owner have to wax their vehicle every 2 months, protection of paint coatings are commonly measured in years! Plus other impressive benefits that will be explored during a preliminary consultation. If you are interested in these revolutionary products or simply want more information, please contact us today for a courtesy, no obligation consultation where we can find the right product for your budget and lifestyle.